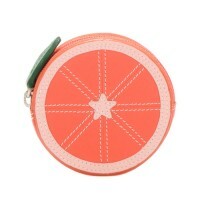 Add some zest to your everyday bag with our Orange purse! Made in soft leather with a zip closure. https://www.mywalit.com/fruits-orange-purse-orange.html?__shop=3 400-50 Fruits Orange Purse Orange https://www.mywalit.com/media/image/2d/ac/d1/2QxM6fzrB4q6MT7.jpg 25.00 25.00 USD InStock Women/Wallets Women/Wallets/Coin Purses Orange shaped coin purse in Nappa leather with zip closure Mywalit add-to-cart 21.000 7.000 7.000 Remove any dirt with a dry lint free cloth, and use a suitable leather care product to clean, protect and finish.